Practical set of 3 burp cloths to help you keep your baby drool-free and the mini-cot's pillow clean; they're great to have around and provide an easy to clean support for all of baby's needs. 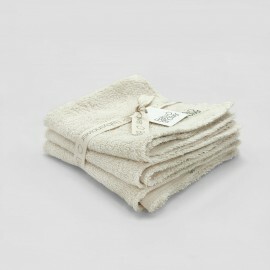 All three are high quality 100% cotton terry cloth on one side and come in three different prints on the other. MEASURES: 28 x 28 cm.